Made a sweet treat with the kids today. 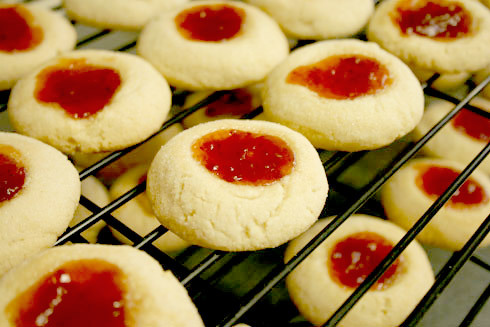 Jam Cookies. One of the things I enjoy doing most with then is cooking and baking. Have you hugged a tree today? What a beautiful Earth Day! It’s sunny, 80°F, and our amaryllis is in full bloom. The kids and I have been playing in the dirt planting our spring container garden and cant wait to harvest some organic herbs and vegetables later this year. I hope everyone is having a great day and enjoying the outdoors. I love you more than I love cake!